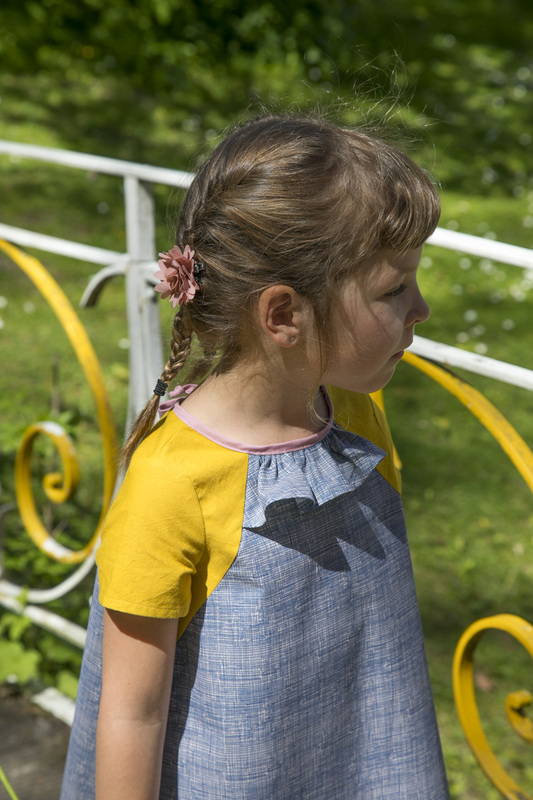 Oh Juliette + faux raglan sleeves tutorial! 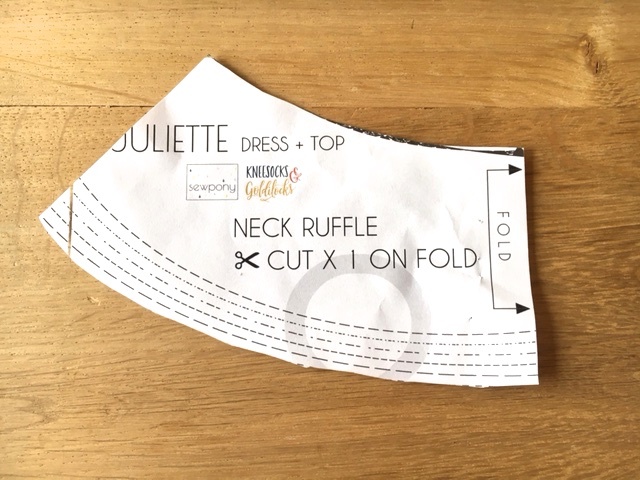 It was Jill that asked me whether I wanted to sew a Juliette dress. 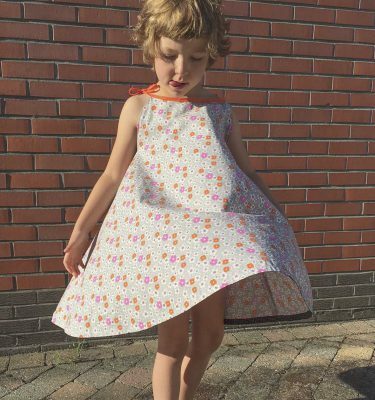 For this new pattern she collaborated with Suz from Sewpony. A great match it seems. 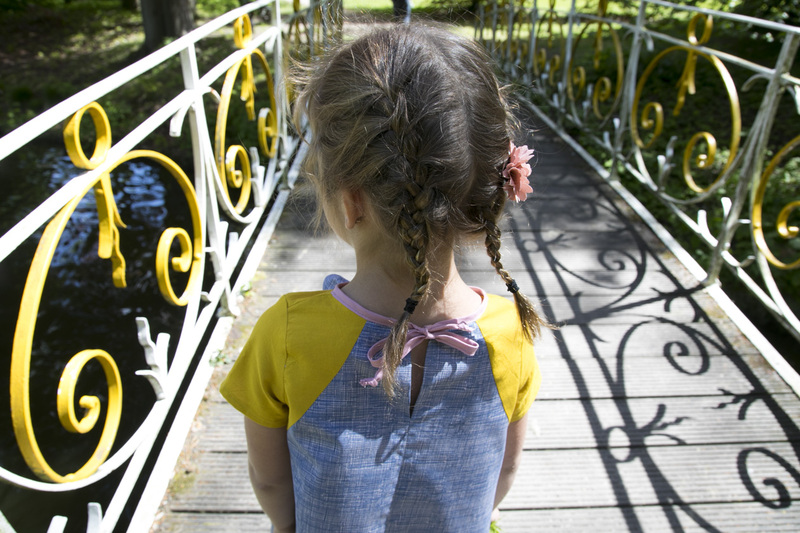 The Juliette pattern is a super cute pattern but… not for my girls. Lisa & Nore love wearing dresses as long as it’s not too girly. Not too many frills for us. So I asked if I could hack the original pattern? And yes: as long as people could recognise it, I could. So I was in. 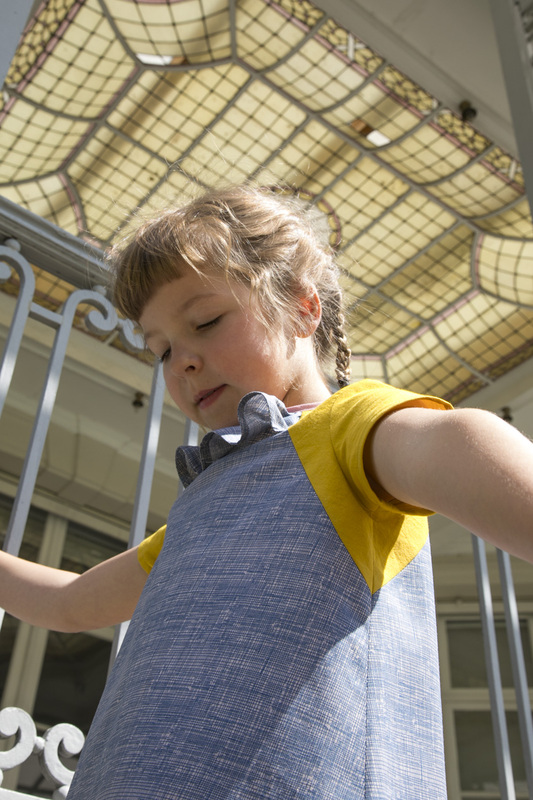 An easy hack would have been to skip the collar, but that’s what makes this pattern so recognisable and special. So I just wanted to minimise this detail a bit. That’s when the idea to create faux raglan sleeves came in. By splitting the front and back panel it looks like the dress has raglan sleeves, but no … it’s just a clever way of colour blocking to get a similar result. I could have changed the original sleeves to real raglan sleeves. As a pattern designer I of course know how to change the sleeves, but I wanted to keep it simple and easy to copy. On my tutorials page you can find a very basic tutorial (in Dutch and English) on how to turn regular set-in sleeves to faux raglan sleeves. I hope you like it? 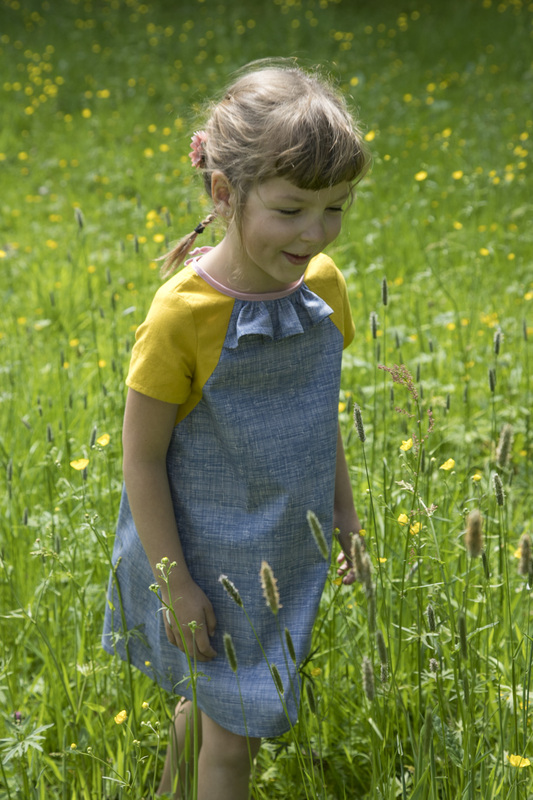 At the bottom of this blogpost I show you how to use this tutorial on the Juliette dress. For the fabric I’ve chosen a super cheap 5euro one that I originally wanted to use for a totally different project: A pair of PJ’s for myself until I found out that the pattern I loved was about 16,5euro for a PDF pattern. No way. I just couldn’t spend that much money on a PDF pattern… So the fabric was available for another project. I matches perfectly with this scrap of mustard yellow and a piece of pink bias tape. Can you imagine that this blue fabric is the only fabric I bought so far this year? Really! I’m working with my stash fabrics first. Not always easy to neglect all the beautiful fabrics in my IG feed, but I’m being a good girl. It was kind of a rush to get my pictures ready in time. Our camera broke. Really! Our good working tool has passed away. So today we decided to rent one. This way we could test a new camera and I must say: I love the result. Nore didn’t feel well so she stayed at home with me and I took the chance to take her to the park in Lint, our neighbour village. What a nice scenery! Thanks Jill and Suz for inviting me to the tour! Now let’s talk about the practical details. You can find the pattern here. 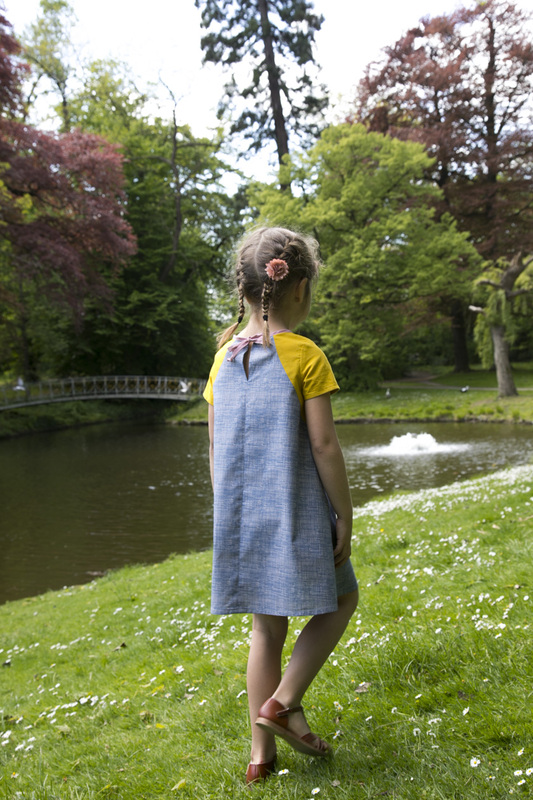 And with the code DRESSEDINSEWPONY you get a 10% discount till the 2nd of June. If you want to get inspired I can highly recommend you to follow the tour. I love what I’ve seen in the closed tour group! All dresses are so special and the photographing skills are amazing. If you already participated in my Nore dress contest and you have some time left you can have a look at the new Sewpony contest as well. Hihi! 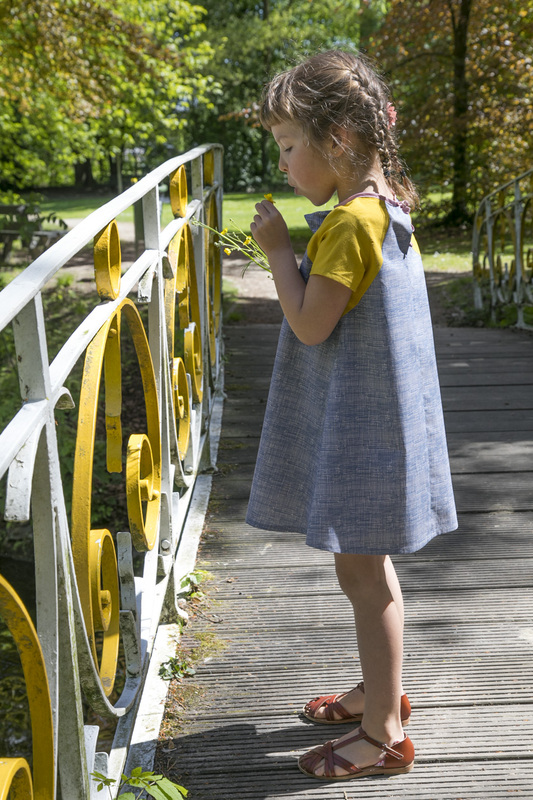 And for the Belgian / Dutch audience: the pattern will be available in Dutch soon. Hooray! 1. Adjust the pattern as you can see in my new tutorial (regular sleeves to faux raglan sleeves). 2. Assemble the back pattern pieces as shown in the tutorial. Measure the width of the middle front piece at the neckline. 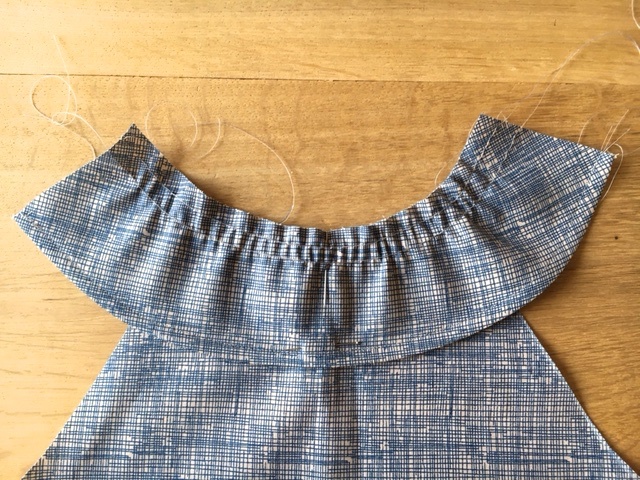 Measure this result on the neck ruffle pattern piece and cut off the rest of the collar. 4. Finish the bottom edge and gather the neck ruffle as shown in the original instructions by Sewpony. Pin the neck ruffle to the middle front pattern piece and gather till the side seams match. 6. Add the raglan pieces to the front (same method as for the back). Now the collar in in between both pieces. 7. Finish the dress according to the original instructions. I am tempted myself, but 16.5 EUR?! Marte, this dress looks perfect. Love the faux raglan sleeves. die kleur staat haar geweldig goed. This is a great hack Marte!! Love the colours and the dress is just gorgeous! Thank you and great tutorial! Een heel erg toffe hack, deze! Echt fan van jouw versie!